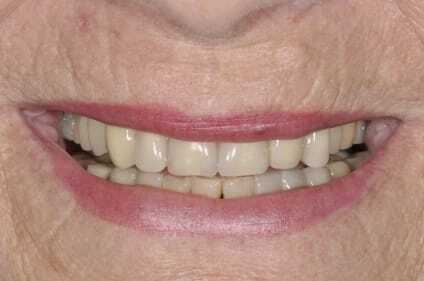 Provisional emergence profile shaping via temporary implant crowns provides the template for the final implant crown. 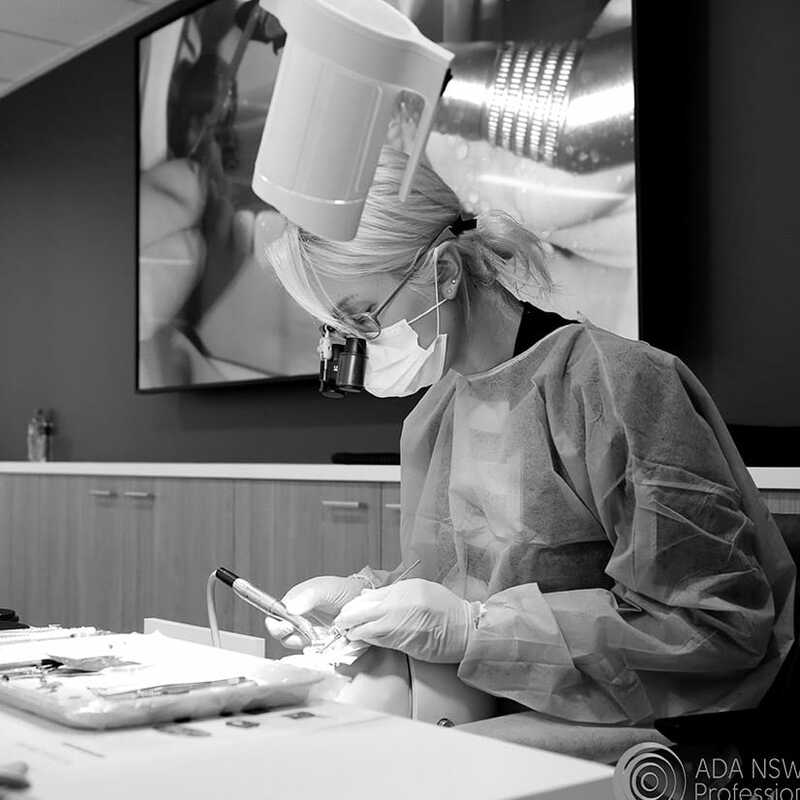 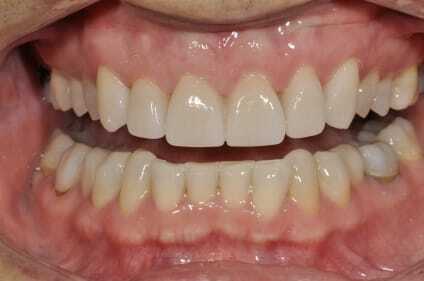 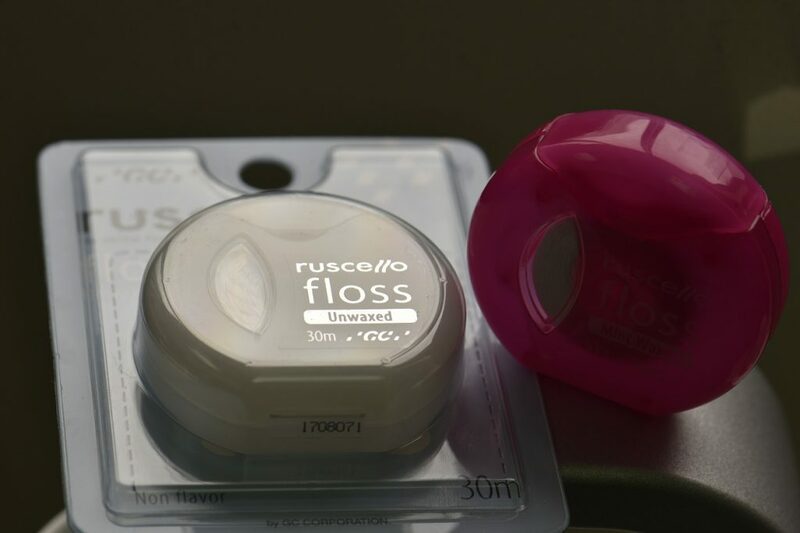 Precise tissue levels are formed through custom shaping of the gingival margin position. 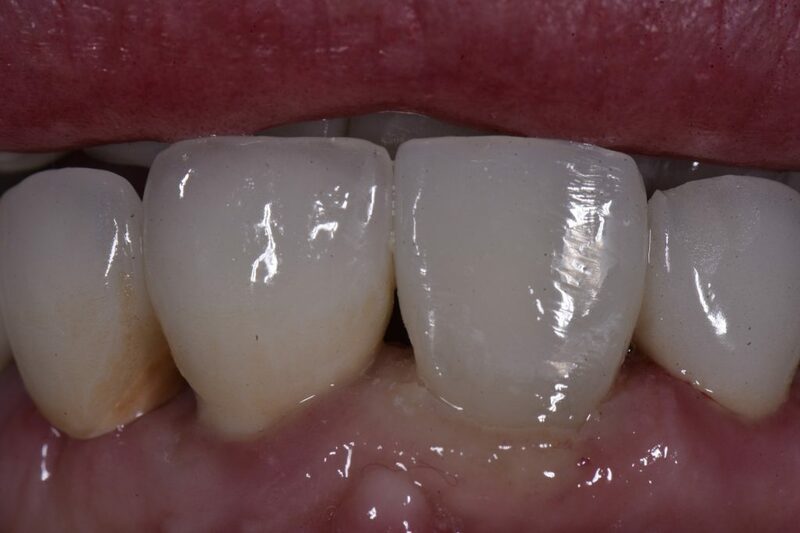 This case is just an example of what a two week change in tissue contour effected by augmenting the cervicofacial aspect of a provisional implant crown can do. 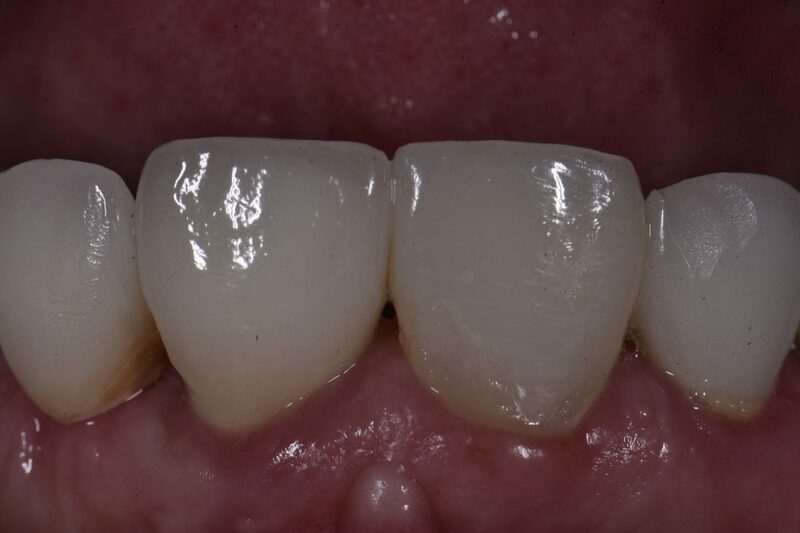 Customizing the cervical emergence profile allows for coronoapical movement of the gingival margin in anterior esthetic cases and is important to maximize predictability via a custom fixture head impression abutment based on the final cervical design of the provisional crown. 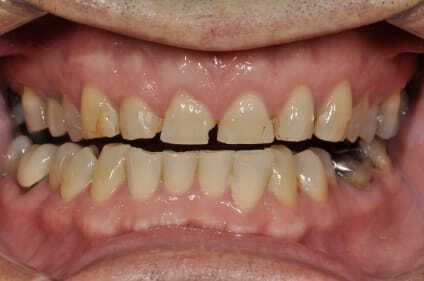 The interdental papillae will fill 100% of the time if the apical aspect of the contact point is 4mm from the interdental crest. 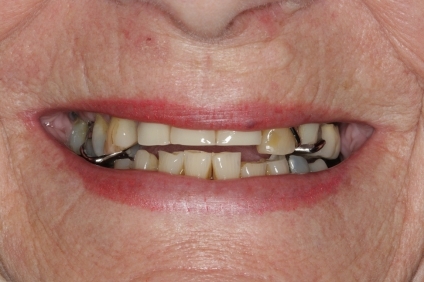 In this case, does not have a great chance of fill without replacing the triangular implant crown on 21 with a more square-ovoid shape.